As Village of Mamaroneck Mayor, Norman Rosenblum is deciding whether to run for Westchester County Legislator, Village Republicans have reached out to a former party chair to run for the mayoral spot. George Mgditchian told The Local Live, “it is a rumor, not a determination”. But he added that he was “always happy to serve my community in whatever capacity they need me”. If he does run, it would be the first time he tried for a position on the Village Board of Trustees. He served on the Zoning Board for ten years and he is currently the president of the Orienta Point Association. Town of Mamaroneck Councilman, Tom Murphy and former Village of Mamaroneck Trustee John Hofstetter, both Democrats, have declared their candidacy for the mayoral position. Due to concerns of Village residents suing over tripping over sidewalks with loose and uneven concrete, the Village of Mamaroneck Board of Trustees unanimously approved $220,000 to restore the crumbling sidewalk located in front of the police station and courthouse on 169 Mount Pleasant Avenue and Johnson Street. Funding for the restoration will come from issuing debt or a future budget application. Six members of the New Roc Hells Angels were arrested last week on gang-related offenses. One of the members arrested was Mamaroneck resident, Jeff Amato. Amato, who is fifty, could face life in prison on charges of participating in a narcotics conspiracy. He is also charged with possession and distribution of Methamphetamine, which could lead to a sentence of twenty years. The US Attorney’s Office said that the gang, “wreaked havoc on the streets of Westchester, Putnam and Dutchess counties” since around 2008. Other charges included were racketeering, money laundering as well as assaulting a rival gang member with a hammer. Murray Avenue School teacher, Elizabeth Dillon died March 18th after fighting cancer for the past fourteen months. The Mamaroneck School District said that Dillon’s “love of children and quiet positive demeanor touched the lives of countless students and staff members”. Dillon, who was a Larchmont native, taught at Murray for twenty-six years. She will be missed by the entire community. On Saturday, March 25th, Mamaroneck’s Molly Spillane held a fund raiser for the St. Baldrick Foundation to help find cures for pediatric cancer. Larchmont resident and an eight-year-old cancer survivor, Margaret Sheker was honored. Participants, as well as the entire Molly’s family shaved their heads in support and to raise funds. In our Round Table discussion, Mike Witsch spoke with Dr. Robert Shaps, Mamaroneck School District Superintendent, Dr. Nora Mazzone, Assistant Superintendent for Student Support Services and Elizabeth Clain, Principal of Mamaroneck High School about the upcoming Mamaroneck School District budget and the future of the Mamaroneck High School’s A.P.P.L.E. program. On Sunday, March 19th, the sixth annual Sound Shore St. Patrick’s Parade was held in the Village of Mamaroneck. Local Live anchor, Alexandria Garcia filed a report on the highlights. Our Pet of the Week, Cupcake is a cat who is a real charmer, as well as cuddly, playful and beautiful. She would be happiest as the only cat in an active household without small children. For more on Cupcake and other adorable pets, go to www.ny-petrescue.org. The Local Live is always looking for new volunteers and interns, so please send your emails to thelocallive@lmctv.org. We love hearing from you. This coming November, the Village of Mamaroneck will vote for its mayor. While it’s a little early to think about the election, Democrats and former trustees, Tom Murphy and John Hofstetter have both announced via Facebook that they will run. Murphy, who is currently a Town of Mamaroneck Council member, told The Local Live, “I believe the Village needs leadership that can form consensus on issues in a professional, calm manner. We also need to remember that zoning laws are written to protect residents, not empower developers”. Hofstetter said to The Local Live, “as a former Village of Mamaroneck Trustee, I have the background and familiarity to help the current Board of Trustees. My experience on the Village Budget Committee has led me to believe that the Village needs to find both efficient and fair ways of operating residents want to have, confidence that their tax money is being used wisely and for their benefit”. The current mayor, Norman Rosenblum is considering his options of either running for County Legislator or to run again for VIllage Mayor. He will make his decision in the next couple of weeks. On a phone interview, he said that he had been approached multiple times by the Republican Party to run as County Legislator. His final decision will be determined by the Village of Mamaroneck political landscape. “My decision depends on how I can best serve the Village”. On March 21st, Election Day will be held in the Village of Larchmont. The candidates are running unopposed for the eighth year in a row. Polls will be open from 7:00 a.m. to 9:00 p.m. at the Village Center, located at 119 Larchmont Avenue, which is behind the library. The trustee candidates are Malcolm Frouman, who will be running for his first full term and Carol Casazza Herman who is a newcomer to the local political scene. Thea Beaver is once again running for Village Justice. She has held the position since 1997. Christopher Johnson, a 28-year-old Rye Neck High School graduate was arrested in Mamaroneck following an armed robbery of Trotta’s Pharmacy in Harrison. According to police, he flashed a black handgun and stole 1600 prescription pills. He is currently being held in Westchester County Jail and will be back in Harrison Town Court on Tuesday, March 21st. This past weekend, the Mamaroneck High School Shakespeare Festival was held for the 43rd consecutive year. The plays featured this year were “Macbeth” and “The Tempest”. Approximately one hundred Mamaroneck High School students participated in the productions. In our Round Table discussion, Local Live Co-Producer, Cat Galeano has an exclusive interview with Mamaroneck High School graduate and Oscar-nominated producer, Fred Berger. They talked about his days at the high school, his work with LMCTV and of course, his experience with La La Land. Our Pets of the Week is Edward, a 6-year-old diabetic cat. He needs a temporary foster home that will give him love and insulin shots. He is a very sweet cat who craves attention and affection. Also available for adoption is Cub, a 2-year-old Chow Chow Mix. He is a perfect gentleman with people and other dogs. He loves going for rides in the car and is good on a leash when going for walks. If you’re interested in more information about Edward and Cub or to browse other pets, go to www.ny-petrescue.org. If you like our show and want to help keep us on the air, please go to our website, www.lmctv.org and click on the DONATE. We appreciate any donation. 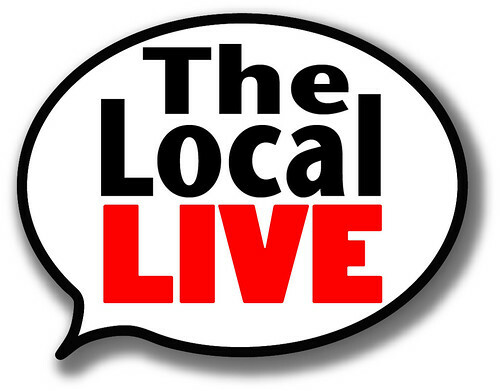 The Local Lie is always looking for new interns and volunteers, so send your emails to thelocallive@lmctv.org. We love hearing from you. Town of Mamaroneck parking permits will increase in price starting June 1st. The Town of Mamaroneck Board of Trustees unanimously voted in favor of the rate hike on March 1st. Town residents will be notified of the new price increase via mail on April 1st. On Monday, March 6th, a freight train engineer sustained a severe head injury when his train passed through the Mamaroneck Train Station. The Journal News reported that a railroad spokesman said that the conductor thought that something had hit the train so he stuck his head out to check and was struck on the head by an object outside. The fire department and EMS crews responded and the engineer was taken to Westchester Medical Center. The Insurance Service Office has once again rewarded the Village of Mamaroneck Fire Department with a Class Three Rating. The Insurance Service Office reviews over fifty thousand fire departments across the country and then rates them on a scale where one is the best and ten is the worst. The VIllage of Mamaroneck is the only fully-staffed volunteer fire department out of the five thousand class three departments. Village of Mamaroneck Mayor, Norman Rosenblum stated that the department’s rating will have a positive effect on business owners’ and citizens’ fire insurance premiums in the Village of Mamaroneck. For the first time, Mamaroneck Schools Superintendent, Dr. Robert Shaps is proposing a budget that oversteps the New York State tax levy limit that was enforced in 2012. The 2017-2018 budget proposal has an increase of 1.59%, raising the tax levy 2.48%, which is above this year’s 1.04% tax cap. The increase in the budget needs to be approved by at least 60% of voters. Public reviews of the budget will be held on March 14th and March 21st. The last hearing and board vote will be held on May 2nd. The final vote on the budget by the community will be on Tuesday, March 16th. Registration for voting on the budget will close on May 11th at 4:00 p.m. For more information and to watch the superintendent’s presentation, go to our website. www.lmctv.org. In our Round Table discussion, Mike Witsch spoke with Jim Killoran, the Executive Director of Habitat for Humanity Westchester about the organization and what the latest projects are for our community. In our LMC Varsity Sports of the Week, the Mamaroneck Ice Hockey team made its final preparations for a return trip to Buffalo to defend their state title from a year ago. Local Live’s Steve Anastas spoke with Tigers Head Coach, Mike Chiapparelli about the trip, this year’s team and his induction into the Westchester County Sports Hall of Fame. On Monday, February 27th, Westchester County Executive Rob Astorino faced residents of the county. The crowd surpassed the capacity of the White Plains City Hall meeting room so much so that residents also filled the lobby and down the front steps. Jane Collins of Larchmont told FiOS-1 News that “we weren’t able to get in, we got here about 6:15 and they said they weren’t letting people in anymore”. While Astorino talked mostly about county issues, residents were looking for comments and discussion on broader gun control or President Trump’s executive orders. Some of the residents came to support the County Executive and told FiOS-1, that he was going a great job. Larchmont resident, Gloria Strauss said “he didn’t answer direct questions, the ban on future gun shows, the rise of anti-Semitism, and his whole proposal for the airport, which is a smoke screen to cover that later we will wind up paying anyway”. The Sand Box Theater will have to relocate in June after eight years of service at 931 East Boston Road, according to Mayor Norman Rosenblum, who stated that the situation is complicated. Dan Ferrante, the owner of the theater, tried to buy the property, he discovered several building violations and a zoning conflict that states that the theater is in a C1 Zone that does not allow theaters. The Village of Mamaroneck Board of Trustees withdrew from initial support for a code amendment due to a group of residents who rallied against the theater. The residents argued that the zoning change would bring more traffic, insufficient parking and danger to children. A 2008 permit did not include Off-Broadway productions. Eventually, the board proposed an amendment to the zoning code that would allow a dancing and acting school but not a theater. Dan Ferrante told The Local Live that he has lost around $60,000 but that he does remain open to moving somewhere else in the Village. The statewide initiative, Green Light New York, allows undocumented immigrants to apply for a driver’s license in New York State. In January, the Community Resource Center asked the Village of Mamaroneck Board of Trustees to pass a resolution support the program. On Tuesday, March 7th, the Community Resource Center will join the program in Albany to lobby for supportive legislation. The Center’s co-executive director, Jirandy Martinez, told The Local Live, “we will proudly represent Mamaroneck with almost fifty residents. We will speak with legislators on behalf of those who want safer roads and all drivers to be insured”. She called the legislation “long overdue” and added, “it’s time to make this happen”! For more information, contact the center at (914) 835-1512. A house located at 59 Mohegan road will be sold by the Town of Mamaroneck in order to recoup $800,000 in unpaid property taxes dating back to 1995. Zillow.com estimates that the property, which went into foreclosure last year, is approximately worth about $1 million. On March 2nd, 3rd and 4th, Mamaroneck and Rye Neck High Schools held their annual spring musicals. Rye Neck performed Legally Blonde, a musical based on the film while Mamaroneck performed West Side Story. Fred Berger, the producer of La La Land will speak at his alma mater, Mamaroneck High School on Tuesday, March 8th as part of the Larchmont Mamaroneck Continuing Education Center’s Notable Neighbors Series. He will be interviewed by his former teacher, Dr. Michael DiGennaro. They will discuss his days at MHS and the long road to La La Land which recently won six Academy Awards, including best director and best actress. Tickets are $40 and are available at www.LMCCE.org. LMCTV will cover the event and Local Live co-producer, Cat Galeano will have an exclusive interview with Berger. In our Round Table discussion, Maura Carlin and Mike Witsch spoke with Nicole Sheindlin, Her Honor Mentoring Program Founder and CEO, Zoe Colon, Former Exec. Dir of Hispanic Resource Center & Mentor and Linda Bello, student and mentee about the origins of the Her Honor Mentoring Program and what it provides to women in our community. In The Spotlight features Red Plum restaurant which is located on Mamaroneck Avenue. The restaurant which features Asian Fusion food, is best known for its sushi and hibachi menus. Local Live reporter, Alexandra Garcia visited the restaurant to give a report. Our Pet of the Week is Polka, an adorable 3-year-old Australian Cattle Dog who needs a loving home. She is successfully learning her manners, but would prefer to be the only dog in the household. For more information on Polka as well as other pets, go to http://www.ny-petrescue.org. If you like our program and want to help keep us on the air, please go to our website, www.lmctv.org and click on the DONATE button. We appreciate any donation. The Local Live is always looking for new volunteers and interns, so send your emails to thelocalive@lmctv.org. We love hearing from you.